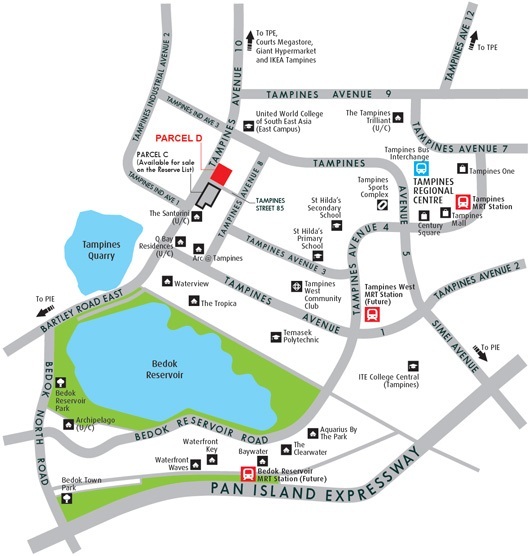 The Alps Residences at Tampines Avenue 10 (Parcel D) is a new launch condominium by MCC Land. The 99 years leasehold condominium has a land size of 15,660.4 m2 with a permissible gross floor area of 43,850 m2. The development which is expected to be completed in TBC, will be made up of TBC towers with a total of TBC residential units. The Alps Residences project name is inspired by The Alps, the highest and most extensive mountain range system that lies entirely in Europe, stretching approximately 1,200 kilometres across eight Alpine countries. Each residential building will be coated with snow white exterior which resemble the pristine beauty of The Alps from far. The Alps Residences has extensive full condominium facilities, which includes guard house, 50 metres lap pool and various pools, indoor gymnasium, outdoor fitness space, function room, bbq pits, yoga decks and many others. There will also be a healthy unit distribution from studio to 4 bedrooms units to satisfy the needs for different buyers. Each unit will be efficiently designed completed with top quality finishes and fittings. In The Alps Residences, you will find everything you need for a perfect home! The Alps Residences condominium boost good connectivity to the city and other parts of Singapore. The development at District 18 is linked via major arterial roads and expressways such as Tampines Expressway (TPE) and Pan Island Expressway (PIE). 2 MRT stations, Tampines MRT Station and upcoming Tampines West MRT Station on the Downtown Line Stage 3, are not too far away, providing excellent travelling alternatives for non drivers. Tampines which is a mature residential estate, is one of the largest residential area and among the most populous housing estates in Singapore. It is also the second largest commercial hub outside the central region of Singapore after Jurong Lake District. Tampines Regional Centre, is part of urban planning policy of Singapore, to create partially self-sufficient towns, in terms of commercial needs, to relieve strain on traffic drawn to the city centre. Future residents will not have to travel far for shopping and dining facilities. There are shopping malls like Tampines One, Century Square and Tampines Mall and hypermarkets like Giant, IKEA Tampines and Courts Megastore. There will also be a new Tampines Town Hub, schedule to be completed in 2016, provide a community space where residents can gather, interact and bond with others from the community. Located in the heart of Tampines town, the first integrated lifestyle destination in the Singapore heartlands will bring retail, sports, and other community and civil services together under one roof. Catering to every interest, it will be key in providing residents with the best facilities and vibrant environment for active community living. Facilities available include a community centre, sports and recreation centres, swimming pools, bowling alleys, information centres and several offices. The future residential development is an ideal home for families with school-going children. 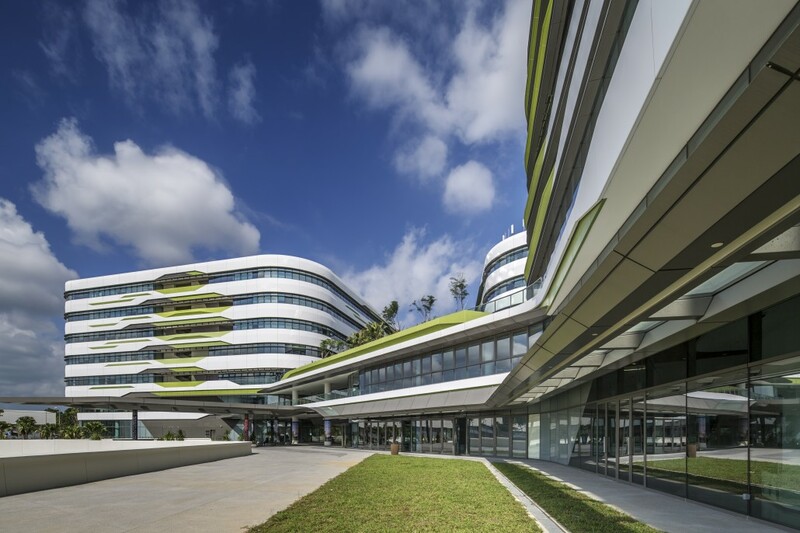 Numerous schools located within the vicinity include United World College of South East Asia (East Campus), Singapore University of Technology and Design (SUTD), St. Hilda’s Primary and Secondary Schools and Temasek Polytechnic. Residents can engage in outdoor recreation activities or enjoy a leisurely walk at Bedok Reservoir Park and Tampines Quarry. For those who prefer to work closer to home, there are plenty of employment opportunities at nearby Tampines Regional Centre and Changi Business Park. The developer of The Alps Residences, MCC Land, is a developer which is familiar with Tampines and develops The Santorini condominium, another project along Tampines Avenue 10. With its strong presence and a good understanding of the local market needs, MCC Singapore shares the public’s aspiration for better home and better lives. For more information on The Alps Residences, simply fill up your details below and our salesperson will get in touch with you shortly!